Hand over them bags and git yer hands up! JACKSONVILLE, Fla. – The Federal Agency has recently come under fire after national news outlets caught agents stealing red-handed. This comes right around the same time the Transportation Security Administration is releasing the top 20 airports for employee theft. For anyone wondering how safe their luggage is when they leave it at the gate, they have every right to be following the release of TSA’s theft statistics. The Federal Agency announced they’ve fired 400 of their employees for stealing. Some gave the items away as gifts, others tried to sell them online or kept them. In response to a Freedom of Information Act Request, TSA was also released the airports where theft is happening the most. Number one is Miami International Airport followed by JFK in New York, Los Angeles, Atlanta, Las Vegas and Dallas. 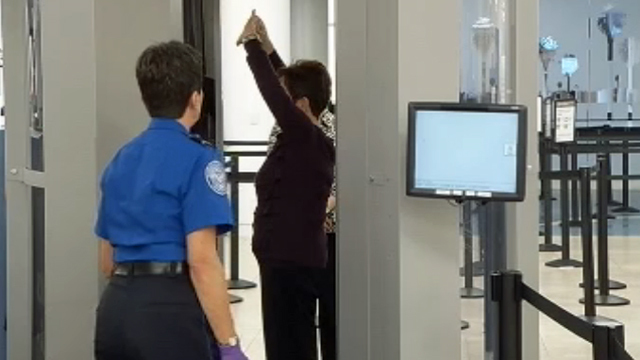 Orlando International Airport came in at number 11 for TSA thefts. A large part of the equation are international airports. “When you have an airport, international, these things have a propensity to happen,” Channel 4’s Safety Expert Ken Jefferson said. Jefferson said if someone has something of great value, ship it UPS or FEDEX and have it insured. The other option if the items are small enough, is to check it as a carry on. But if it’s not small enough, it’s not worth the risk to check it. “The people who we trust the most are the ones stealing from us,”Jefferson added. Channel 4 didn’t find any passengers who have had items stolen themselves, only passengers who want to believe it won’t happen to them. It was a very public death. In the grey light of dawn, the body of a man was found hanging from scaffolding underneath Blackfriars Bridge in Central London, his feet dangling in the water. Roberto Calvi was found hanging from scaffolding on Blackfriars Bridge, his pockets loaded with bricks. Both the Calvi and Sindona cases remain unsolved. He was wearing an expensive Italian suit and his pockets were weighted with bricks and stuffed with cash. 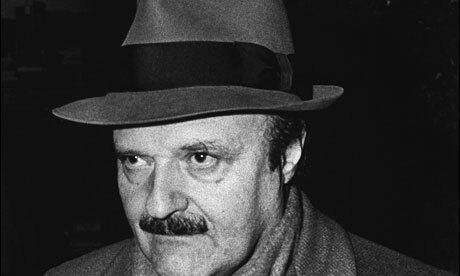 Initially police believed that Italian financier Roberto Calvi, known as ‘God’s banker’ because of his close financial ties with the Vatican, had committed suicide. But the dead man’s son, Carlo Calvi, commissioned an independent forensic report, which concluded in October 2002 that he had been murdered. In 2005, Italian prosecutors brought murder charges against five suspects but all were acquitted after the subsequent trial in Rome. Now, 30 years after his father was found dead, Carlo remains convinced that he was murdered and wants police to reopen the case. Carlo believes that up to a dozen men from the Italian underworld were involved in the murder – and claims many are still at large in London. 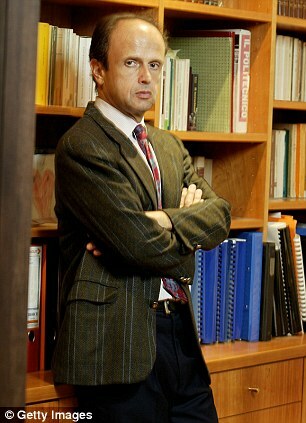 Carlo, aged 58 and himself a former banker, has dedicated his life to seeking justice for his father, who was the chairman of Italy’s second-largest bank, Banco Ambrosiano. The bank subsequently collapsed with debts of half a billion pounds amid dark rumours of laundered Mafia drug money, a link with the clandestine ‘P2’ Masonic lodge and secret political slush funds. Now living in Montreal, Canada, Carlo spends his time travelling between his home and London, New York and Milan – sifting through evidence, meeting secretive contacts willing to talk about Italian organised crime and poring over the transcripts of Mafia trials. His obsession with finding the men involved in his father’s murder has come at a price – both financial and personal. 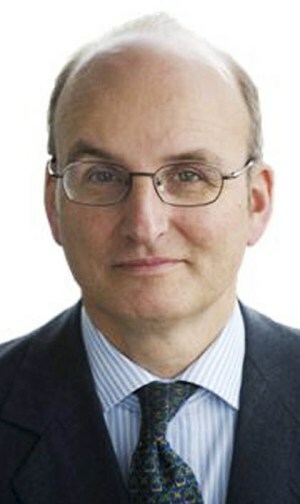 He has spent £15 million on fees for lawyers, private detectives and other experts in an attempt to identify the guilty. And his marriage to Marie Josee, mother of his two sons, Roberto, 18, and Nicola, 16, broke up in 2000. He has also not seen his sister Anna, 55, a lecturer at Warwick University, since their mother’s death from Parkinson’s disease in 2006. Carlo was a 28-year-old post-graduate student at Washington’s Georgetown University when he recieved the telephone call that would change his life. His mother Clara, then 60, and sister Anna, 25, were staying with him in Washington, having been warned by his father that their lives were in danger. ‘My mother had been living with me in America for about six weeks because my father feared for her safety,’ he recalled. ‘My sister arrived the day before he died. We were awoken by the telephone in the middle of the night when my uncle Luciano, my mother’s brother, called from Bologna to say that he had heard the news on the radio. Within hours the family had been escorted by American police to a secret apartment in the Watergate complex, famous for the break-in that brought about the fall of President Richard Nixon. They spent the next few weeks under police guard before returning to Carlo’s home. ‘My mother never recovered from my father’s death,’ said Carlo. ‘She and my father had always dreamed of living near Lake Como. They were very close and she remained very attached to her dreams. Carlo’s quest for the truth began a month after his father’s death when a London inquest recorded a verdict of suicide. It was hardly a likely explanation. Six days before his death, Calvi had shaved off his moustache and skipped bail in Italy pending an appeal against a four-year suspended prison sentence for illegally transferring £18 million out of the country. Fearing for his life, the 62-year-old banker chartered a private plane and fled to Britain on a false passport with Sardinian business tycoon Silvano Vittor, a long-term associate who assumed the role of bodyguard. He was taken to a safe house in Chelsea Cloisters, West London – believed to have been organised by another Sardinian businessman, Flavio Carboni. Calvi had already written to Pope John Paul II warning him of the imminent collapse of Banco Ambrosiano, saying that it would ‘provoke a catastrophe of unimaginable proportions in which the Church will suffer the gravest damage’. Calvi also had close links to the Mafia, the Neapolitan Camorra – a Mafia-like criminal organisation based in Naples – and the Masonic lodge P2. 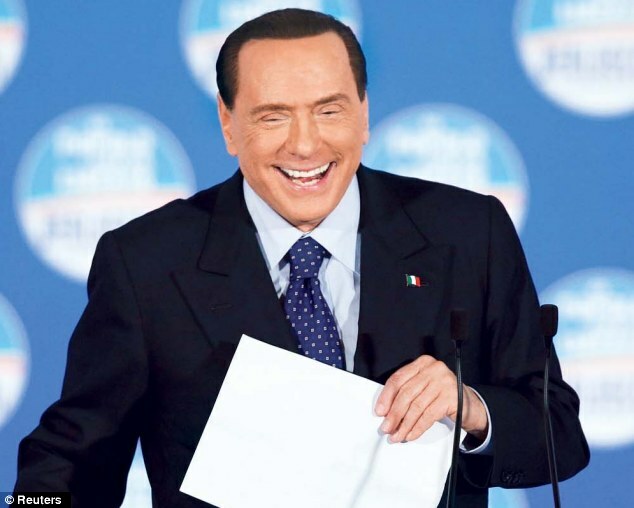 The latter was described by Calvi’s former Banco Ambrosiano mentor, Sicilian Michele Sindona, as a ‘state within a state’ because of its powerful members, including former Italian Prime Minister Silvio Berlusconi. Carlo refused to accept the 1982 inquest’s suicide verdict. He hired one of Britain’s best-known barristers, George Carman QC, to represent the family at a second hearing, which recorded an open verdict. Still not satisfied, he demanded that his father’s body was exhumed. Carlo then commissioned the independent forensic report, which concluded in October 2002 that his father had been murdered as the injuries to his neck were inconsistent with hanging, there was no trace of rust and paint on his shoes from the scaffolding and he had not touched the bricks in his pockets. In 2005, Vittor and Carboni were accused of killing Calvi. But the duo and three others – Mafia financier Pippo Calò, businessman Ernesto Diotallevi and Carboni’s girlfriend Manuela Kleinszig – were acquitted 20 months later. Another name linked to Calvi’s murder was Mafia ‘supergrass’ Francesco Di Carlo, known as ‘Frankie the Strangler’. 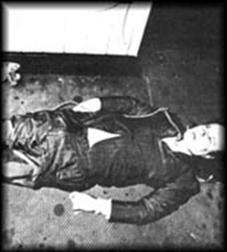 According to Di Carlo, the killers were Vincenzo Casillo and Sergio Vaccari of the Naples Camorra. ‘Calvi was naming names,’ said Di Carlo. ‘No one had any trust in him any more. He owed a lot of money. His friends had all distanced themselves. Everyone wanted to get rid of him. I was in Rome and received a phone call from a friend in Sicily telling me that a certain high- ranking Mafia member had just been killed. ‘I will never forget the date because of this: it was June 16, 1982 – two days before Calvi was murdered. The friend told me that Pippo Calò was trying to get hold of me because he needed me to do something for him,’ Di Carlo claims. ‘When I finally spoke to Pippo, he told me not to worry, that the problem had been taken care of. Carlo Calvi believes that the supergrass is telling the truth. He agrees with Di Carlo that his father’s killers were Casillo – the second-in-command of the Camorra, who was murdered by a car bomb in Rome in 1983 – and his sidekick Vaccari, who was stabbed to death three months after Calvi’s murder. Vaccari was also a former tenant of Calvi’s last known home, the rented flat at Chelsea Cloisters. 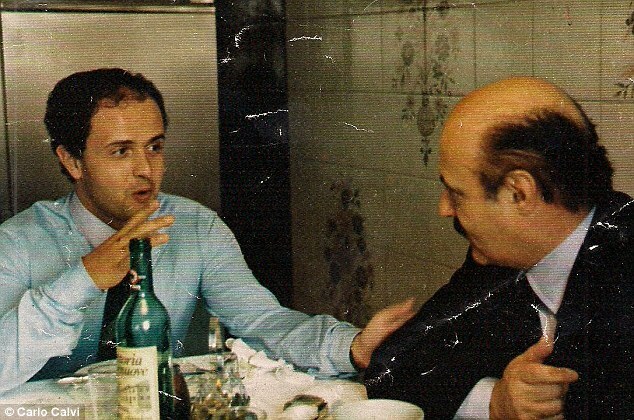 Carlo points out that both his father and Casillo had business cards belonging to Alvaro Giardili, a Camorra associate, in their possession when they died. ‘I’m not suggesting Alvaro Giardili was involved, but he definitely connects to some of the individuals involved in the case,’ Carlo said. ‘When my father died, he had Giardili’s business card in his wallet. It is that underground movement that Carlo is now hoping will be exposed – even if his own safety is jeopardised. Calling for a third inquest, he said: ‘The police have already admitted it was murder but I would like to see the case reviewed in open court and the remaining defendants in their jurisdiction pursued. ‘When I lived in Italy I had bodyguards but now I have to rely on my own judgment and instinct. ‘There have been instances when I have been concerned for my safety but I try not to be confrontational and protect myself. Anti Mafia prosecutors have asked the secretive Vatican Bank to disclose details of an account held by a priest in connection with a money laundering and fraud investigation, it emerged on Sunday. The official request was made more than a month ago but so far the Vatican Bank, known as the Institute for Religious Works, has refused to disclose any records of the account held by father Ninni Treppiedi – who is currently suspended from serving as a priest. Investigators want to know more about vast sums of money that are said to have passed through his account to establish if they were money laundering operations by on the run Mafia Godfather, Matteo Messina Denaro. The reports emerged in the Italian media and came just two weeks after the head of the Vatican Bank, Ettore Gotti Tedeschi, was sacked amid claims of power struggles and corruption within the Holy See which have been linked to the leaking of sensitive documents belonging to Pope Benedict XVI. More in line with a Dan Brown thriller, it is not the first time that the Vatican Bank has been embroiled in claims of Mafia money laundering. Thirty years ago this month financier Roberto Calvi was found hanging under London’s Blackfriars Bridge with cash and bricks stuffed into his pockets. Initially City of London police recorded the death as suicide but Italian authorities believe it was murder after it emerged Calvi, known as God’s Banker because of his links to the Vatican Bank, had been trying to launder millions of pounds of mob money via its accounts and through his own Banco Ambrosiano which had collapsed spectacularly. 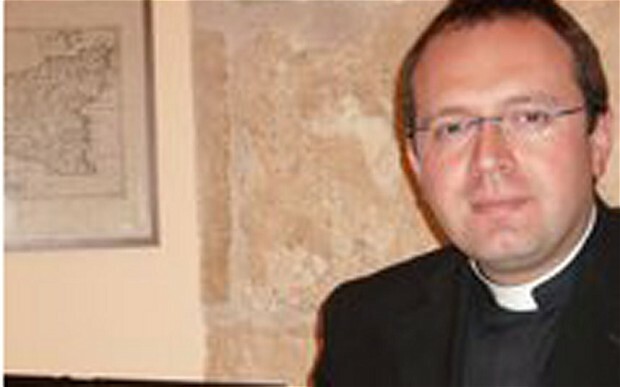 Father Treppiedi, 36, was serving as a priest in Alcamo, near Trapani, said to be the richest parish on the Mafia’s island stronghold of Sicily, and he was suspended after a series of questionable transactions of church funds and which has also led to his local bishop Francesco Micciche being sacked. Trapani prosecutor Marcello Viola made the request six weeks ago for details of the account held by Father Treppiedi at the Institute of Religious Works to be disclosed but according to reports in Italian media, as yet the go ahead has still not been given by the Vatican. In particular prosecutors are said to be looking at financial transactions made through Father Treppiedi’s account at the Vatican Bank between 2007 and 2009 and which came to almost one million euros but paperwork explaining the source of the money is said to be missing. Attention is also focusing on several land and property deals made by the parish which is in Messina Denaro’s heartland in the area around Trapani and where he still commands fear and respect. There is speculation that Gotti Tedeschi was aware of the possible Mafia link and was about to name names and police seized paperwork from his home which is said to detail his suspicions and which he had prepared for a handful of trusted sources as he feared his life was possible in danger. Of particular interest are said to be property investments and property sales that could potentially have been used to disguise money transfers and launder money – all this in the light of report earlier this year that the Vatican Bank was not completely transparent in its dealings despite efforts to be so. The latest development comes as prosecutors in the Vatican continue to question the Pope’s butler Paolo Gabriele, 46, in connection with the leaking of documents which then ended up in a whistle blowing book published by an Italian journalist called His Holiness. No-one from the Vatican was immediately available to comment.